In this post, I will show you how to get direct link for Windows 10 ISO download without using the media creation tool. In my previous post on downloading Windows 10 from direct links, it uses a media creation tool to install the required Windows 10 setup file in our system. Problem with Media creation tool is that it requires stable internet connection & any interruption in internet causes it to start downloading Windows 10 from first. 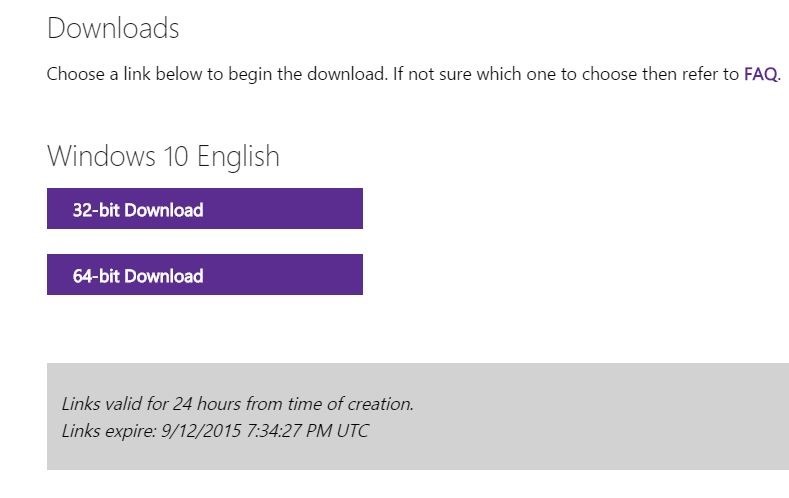 Using this trick, you can get download & Install Windows 10 without using media creation tool. 1. Use Chrome browser and visit this link. 2. Open Developer tools in Chrome by going to Settings Menu> More Tools> Developer Tools or Just Press shortcut keys Control + Shift + I. 3. 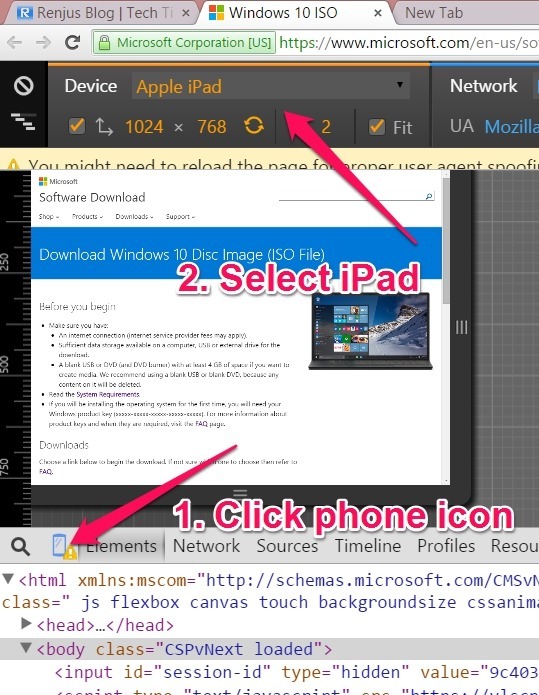 Developer Tools will open as shown in the image below. Click on the phone icon beside the magnifying glass. 4. Select Apple iPad and Press F5. 6. 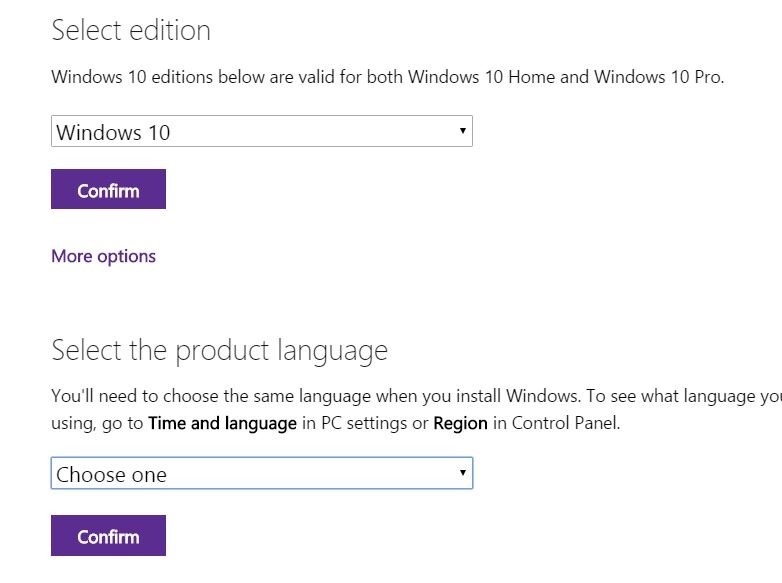 Select Windows 10 and click Confirm. Now select your language and hit confirm. Now you will get option to download direct link of 32 bit & 64 bit Windows 10. Select the version you want & download within 24hours. Thanks Depesh for this trick. If you have any other trick to share with us, Please let us know.